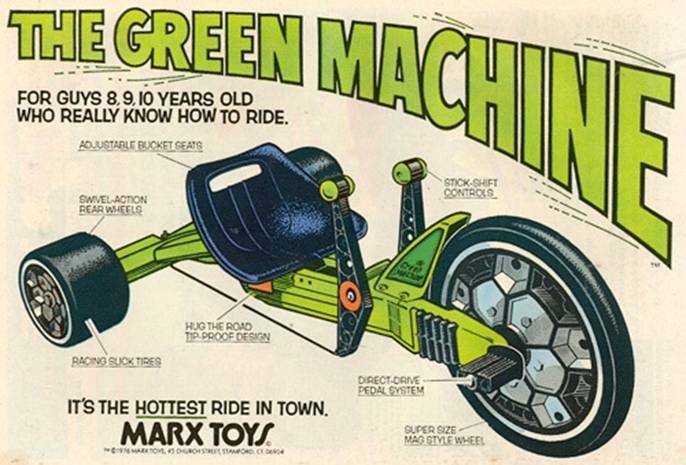 That's me zooming past by you on my Green Machine. Ohhh sheet I like it, the name and slogan is soo awesome. For guys 8, 9 10 years old who really know how to ride...HAHAHA.